Whether you are traveling or in need a temporary bed, air mattresses are a great solution. A peaceful and comfortable night’s sleep starts with the choice of a good mattress. During our research, we found air mattresses have other great uses for their owners, including for guests, post-surgery use, or in need of sleeping on something different from time to time. 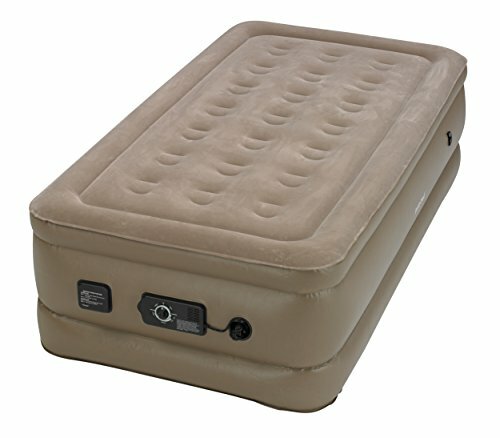 How will you use your air mattress? With many brands, types, sizes and colors of mattresses in the market, picking one can be daunting. It’s important to choose a mattress of good quality and premium comfort, especially if you suffer from back pains. 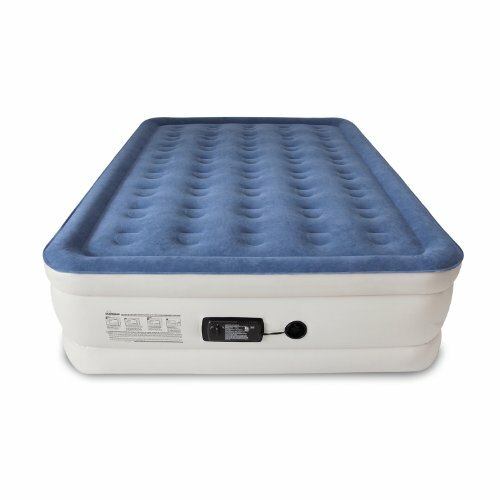 Here is a review of five of the best air bed mattress reviews to help you manage back pain for a sound night’s sleep day after day. The SoundAsleep Dream Series is based on the ComfortCoil technology. It comes in an industry-leading design built with 40 internal air coils to provide support and extra durability. This means you can enjoy sound sleep on a 19-inch thick air bed with a consistently firm and flat surface, making the SoundAsleep Dream Series one of the best inflatable beds. The bed features a 1-click patented internal pump to ease inflation or deflation during setup. In just 4 minutes, the bed fully inflates for total firmness; this can be easily adjusted as you desire. Designed for home use, this mattress is ideal not just for you, but your friends, overnight visitors and even relatives will love sleeping on it. When fully inflated, the mattress measures 78” by 58” in dimension. The queen size mattress is compatible with a raised air bed featuring double chamber build and double height. The mattress has a ‘Sure-Grip’ bottom for non-slip qualities. The mattress has an extra thick cover with water-proof qualities for durability and extra comfort. The cover made using a material resistant to puncture also adds to your mattress’ layers. What’s more, you’ll the carry bag it comes with for easy transport when moving houses. It also comes with a 1-year warranty for peaceful sleep all-year round. It’s available in a beige body and blue cover. The Insta-Bed Raised is a single-sleeper, 18-inch twin mattress features two patented neverFLAT pumps to ensure that your airbed is constantly inflated, making this one of the highest quality air mattress. In just 4 minutes, the main pump auto-inflates and deflates the air bed, thanks to its automatic on-off detection design. This product is also available in 5 different styles. The role of the secondary pump is to noiselessly monitor your airbed, ensuring that it’s always inflated with air pressure at a comfortable level whenever the mattress is in use. Whereas the queen bed features 35 internal circular coils, this twin variation has 21 circular coils for added strength, level surface and support you need to sleep soundly. The mattress has an 18-inch raised height for easy access to your bed and comes with a carry bag for easy and convenient transport or storage. Whereas the twin size measures 74-inch by 39-inch, the queen size is 80-inch by 60-inch in dimension. The mattress comes with an instructions guide on how to use it. The Shrunks Sleepover Travel Bed comes in twin and toddler sizes. Its signature sheet-tuck feature is compatible with any standard twin bed sheets. 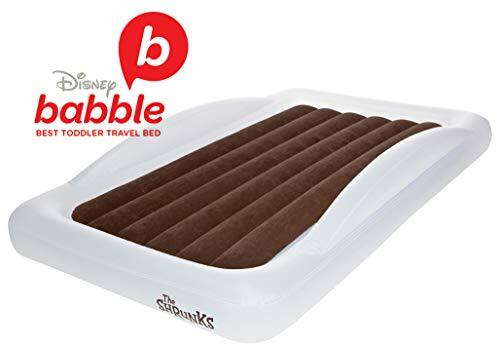 This 9-inch air bed is built with the company’s trademarked security rails for fall-free sleeps. In just a minute, the bed inflates ready for use. The 78-inch by 43-inch bed weighs about 11 pounds for easy portability. It comes with a carry bag and compact design for convenient transport or storage. The repair kit comes in handy when you need to fix something on the bed. It features a powerful Jetaire electric pump for inflating and deflating the bed. What’s more, the bed is BPA-free, phthalate-free and lead-free for your safety. The Intex Comfort Plush Elevated Dura-Beam is an inflatable 22-inch high bed. Engineered with the Fiber-TechTM construction technology and designed for home use, the air bed comes with a built-in electric pump. The highly powerful pump easily inflates and deflates the mattress for firmness in just 4.5 minutes. Built with waterproof qualities, the air bed is raised 22 inches high and features indented sides for non-slip use. It comes with a duffel bag for easy and convenient transport or storage. The air bed has a capacity of 600 pounds and measures 60-inch by 80-inch in dimensions. For maximum performance, the inflation dial should be fully turned either to deflate or inflate position as necessary. 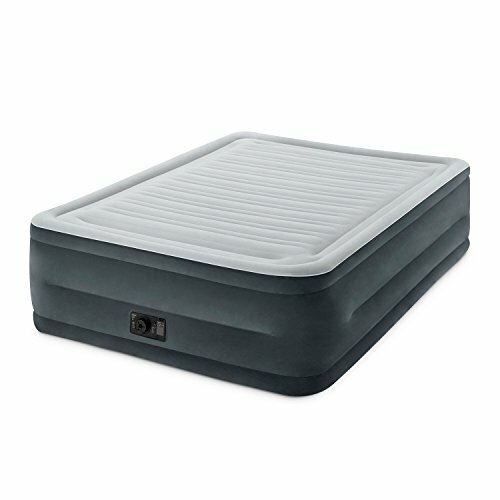 The Serta is an 18-inch inflatable mattress featuring two patented neverFLAT pumps to ensure that your airbed is constantly inflated. In just 4 minutes, the main pump auto-inflates and deflates your bed with its automatic air compression level detection function. The mattress has an 18-inch raised height for easy access to your bed and comes with a carry bag for easy and convenient transport or storage. Whereas the twin size measures 74-inch x 39-inch, the queen size is 80-inch by 60-inch in dimension. The mattress comes with an instructions guide on how to use it. 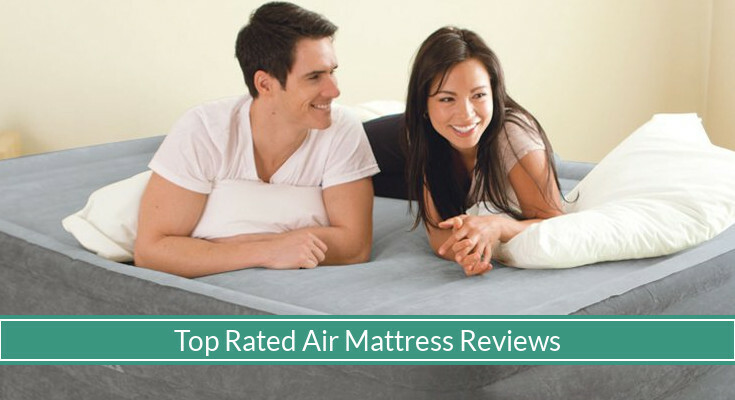 Air mattresses can be a wonderful addition to any household. Although they are not designed to be used for every night, having an air bed to sleep on is no less a great sleep experience. 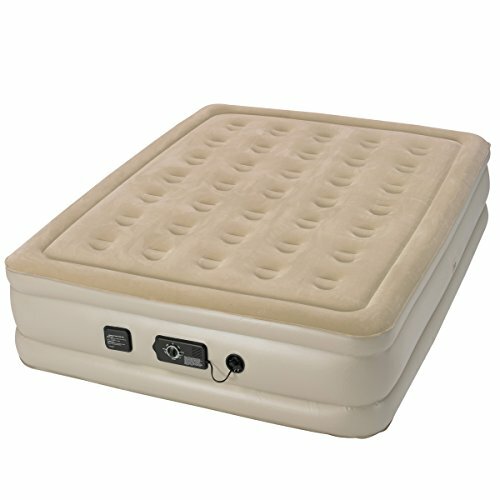 Air beds are commonly used to alleviate back pains as reviewers mention in their reports. Their portability and ease to inflate make air beds great for welcoming overnight guests. Before making a purchase, it’s important to do an intensive research on any mattress you like.